I Wish I Was European. This Goes Out to My Rough Chicks. One of the biggest online streetwear shops, KarmaLoop.com, has recently put out a new look book called “Your Boyfriend’s Closet.” It features creative and unique ways to rock men’s, or as they’d say, “your boyfriends,” clothing. With everything from Nixon watches to 10 Deep tees, the book and styling is HOT. Check it out for yourself. Is it me, or is there something extra cool about a unisex clothing line?? ). Are you man/woman enough?? Check it out. When it comes to shopping in DC, I am usually excited to go to Georgetown or Pentagon City Mall because of the large variety of nationwide fashion franchises. When in reality I love the idea of shopping at little boutiques allowing myself the chance to be a little more unique in what I own. A couple of weeks ago, a friend and I went walking down the famous U Street Corridor, here in Washington D.C. and I came a cross a couple of nice boutiques. Unfortunately, it’s nowhere I can shop because they both cater to the female shopper but I’m not here to write about things that only i can relate to. First, there was moojoo ken, meaning unconditional in Japanese. Tucked away in a tiny row house on the corridor, moojoo ken offers everything from clothing to handbags to jewelry. With every moojoo ken original, there is in some way shape or form the inclusion of their exotic emblem tying each piece together. Here’s a look at there store and some of their products. Next there was Nana, a store for the savvy shopper. Jackie Flanagan opened Nana in April 2003 with her grandmother in mind. Flanagan says her grandmother has such fashion smarts and she has always looked up to her grace and glamour. Out of the two, Nana was the more appealing to my eye being that I’m really into the unique yet sheek look on a female. Look for yourself. Stores That Catch the Eye!!! Have you ever been out for a day on the town, not really looking to shop. You suddenly pass a beautifully artistic window display and are immediately intrigued to enter. 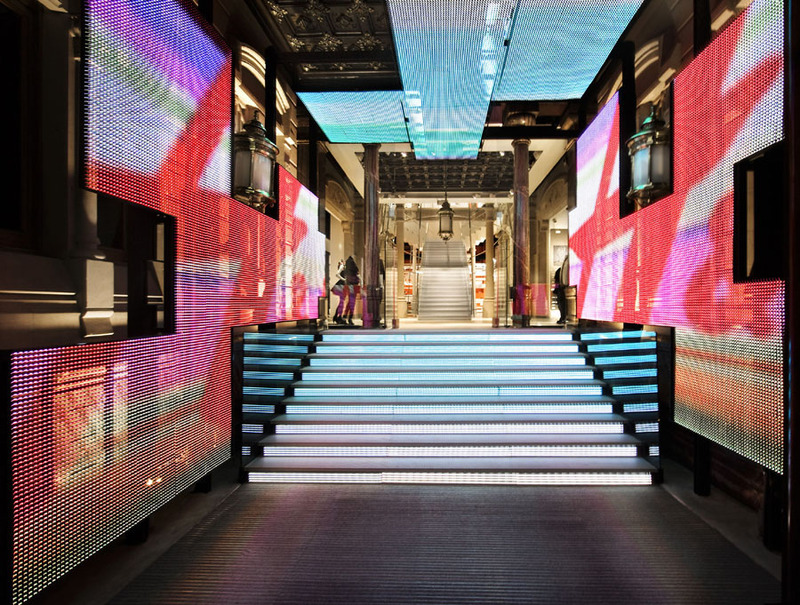 Here are the top five intricately architectured retail shops in the world. 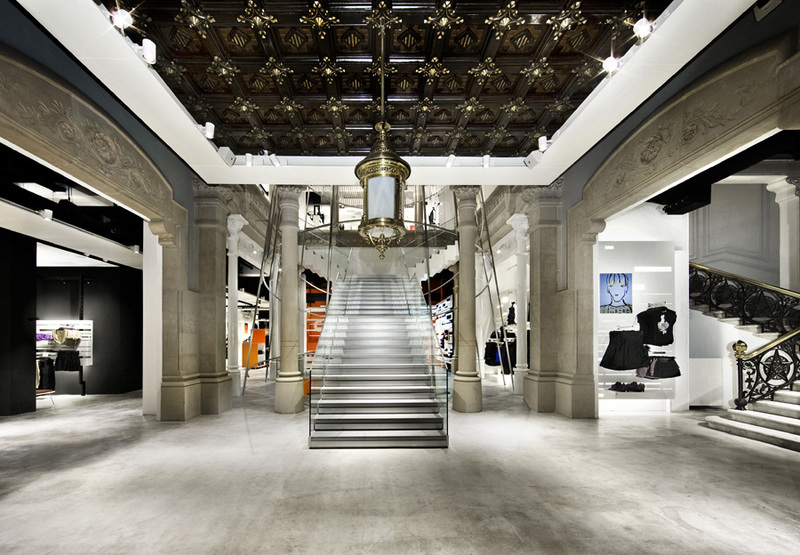 Doubling as the headquarters and the retail store, Dolce’ & Gabbana Milan has five levels above ground and two basement levels. The building is made of Namibia stone, glass and unfinished steel sheet. Placed in one of the fashion capitols of the world, the Armani Ginza Tower is a multibrand store including brands such as, Giorgio Armani, Emporio Armani, Armani/Ristorante and Armani/Prive’. 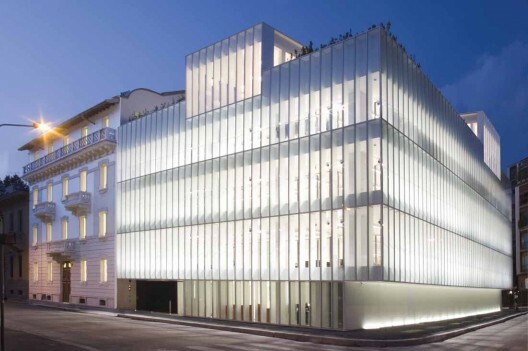 The architecture of this building ties in very well with Armani’s look of simplicity but intricate detail. This is a must see when on vacation in Tokyo. Personally, I am not a fan of PUMA but the detail and individuality put in to form this shore to shore retail store is beyond amazing. 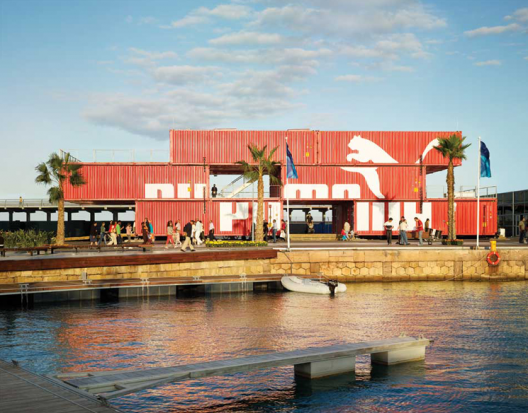 Currently in the Volvo Ocean Race 2008-2009, PUMA City travels throughout Alicante, Boston and Stockholm. Wouldn’t it be fun to work for such a store?? I know I’d have a ball. Located in Little Five Points (L5P), Wish rests in the center of one of Atlanta’s most vibrant and edgy districts. As an urban store selling a variety of brands from Triple 5 Soul to Stussy, Wish is best known for it’s shoe department, with a set up so abstract it was placed as my number two fave. It gives off the feel of someones study or library because it is fully stocked with coverless books. Check it out for yourself. 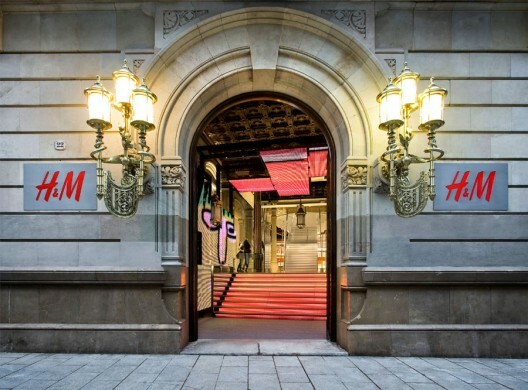 H&M has always been a very well put together store but it’s shop in Barcelona, Spain takes the cake. 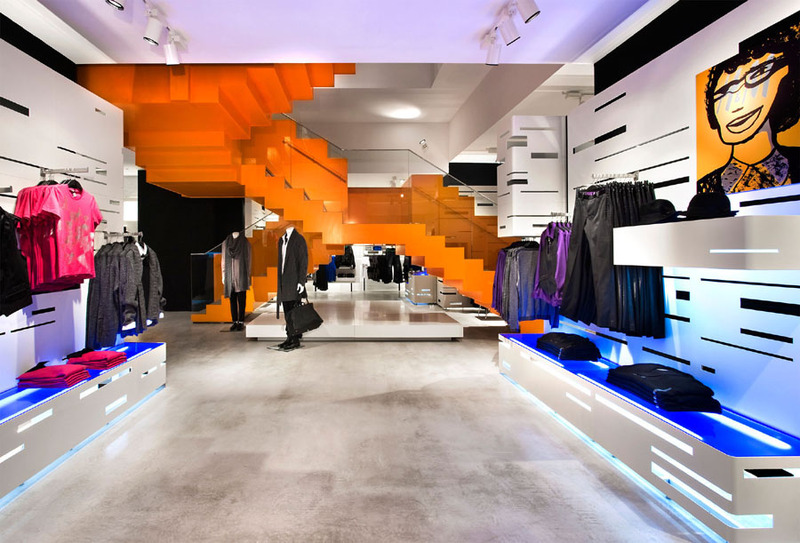 From beautiful ceilings to well lit walk ways, this store would make you want to move in. 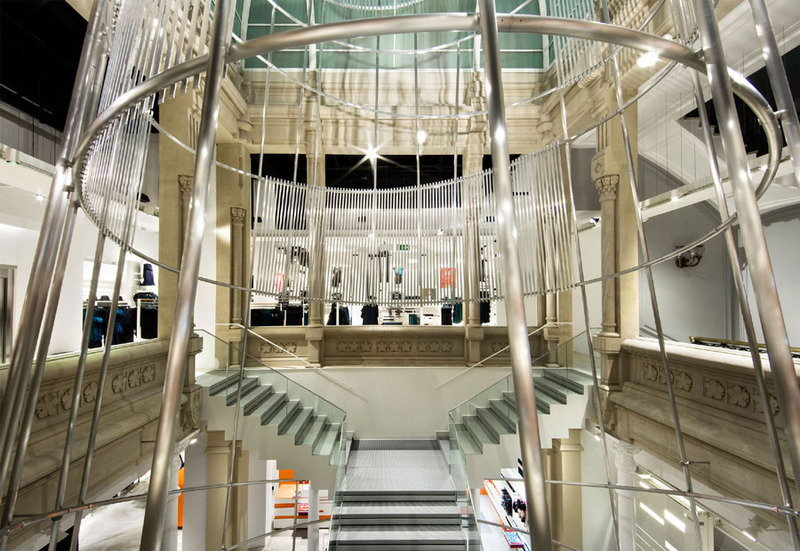 Designed by Domènech Estapà, the original architecture of the building was inspired by a neo-classical style. Newly renovated by Estudio Mariscal, there is a very futuristic yet modern feel about the place. It truely distracts you from your shopping experience and yet keeps you fully intrigued. This is definitely a must-see.